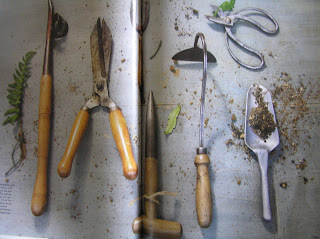 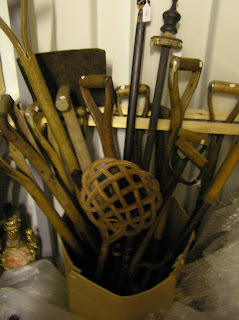 We have particularly been on an Antique garden tool hunt here on our buying trip. 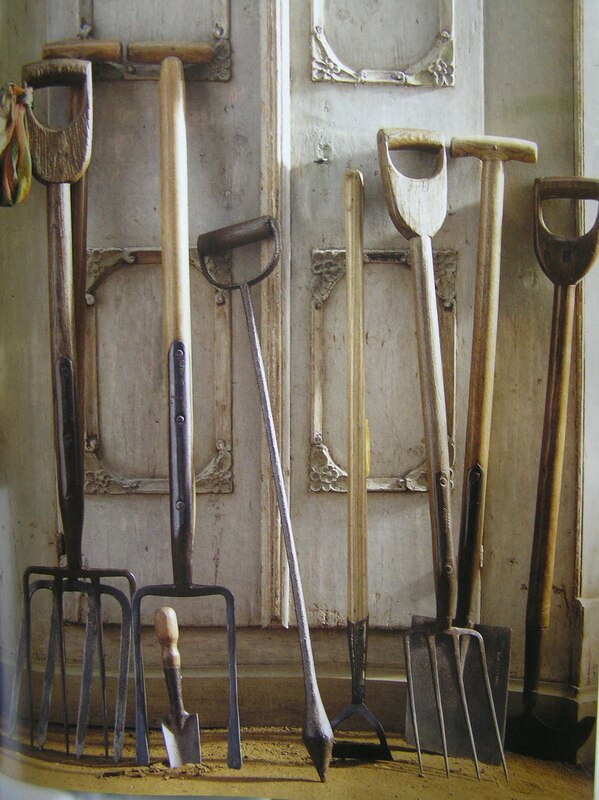 And it has certainly paid off as we have accumulated a very extensive collection of all types of English garden tools - from hand shears to large cultivating forks. And we have been learning along the way, including from the recent BBC's Homes and Antiques May issue (top two photos). Here is part of what we have bought (above) and another interesting way to display tools, as lamps of course (below)! 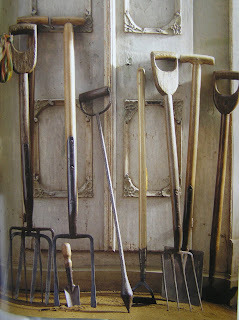 But I think they are all very useable just as they were originaly intended...in the garden. 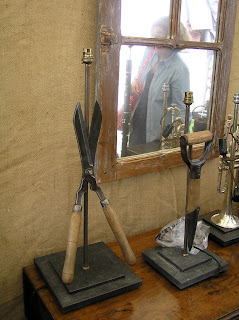 I absolutely love those lamps!